When a dentist says she will rejuvenate your smile, you might assume she is talking about your teeth. In fact, an experienced dentist can perform a range of esthetic treatments that go far beyond your mouth. From removing wrinkles to calming overactive muscles and preventing you from showing too much gum while smiling, there’s no shortage of ways a skilled dental specialist can brighten your face. Dr. Lisa Elias has the training and experience to enhance any aspect of your smile. Operating out of Brunswick, Ohio, she offers safe, comfortable facial rejuvenation for all patients who want it. Getting Rid of Wrinkles - The most famous use for Botox® is by far its ability to rid your face of lines and wrinkles. It is most effective on lines around your eyes, as well as on the forehead. Relieving Pain - Excessive contractions in the facial muscles are a common source of pain. By strategically applying Botox®, Dr. Lisa Elias can reduce migraines, muscle spasms, and countless other sources of suffering. Reduce Wear & Tear - Botox® makes you less likely to clench or grind your teeth. Not only does this remove another source of pain, but it also preserves your teeth against a common cause of long-term damage. The effects of the botox began to be noticeable in 3 days, takes full effect in 2-3 weeks and last for a least 3 months. 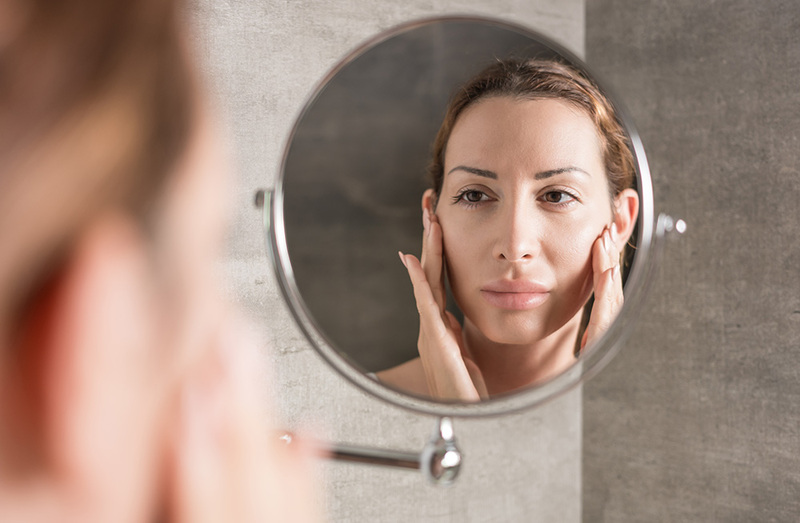 Dermal Fillers - Juvederm®, Restylane® and other dermal fillers also eliminate wrinkles while providing greater fullness in the area where they are injected. With these fillers, you can plump up your lips, restore lost fullness in cheeks, chin or jawline and make your face look younger and more symmetrical. PRF Therapy - Short for Platelet Rich Fibrin, PRF therapy involves regenerating parts of your gums that have become recessed. This has both esthetic and practical benefits. Not only does it make your smile look more even, but it also protects your teeth from potential sources of decay. Dr. Lisa Elias has a long history of providing these treatments. By offering local patients quality esthetic enhancements, she complements the effects of her dental work, providing comprehensive facial beauty. Why Choose a Cosmetic Dentist for Botox® and Dermal Fillers? Dentists are very familiar with two things: the function of each muscle in the face and the administration of intra-oral injections. One of the biggest advantages of getting these procedures done in a dental office is having the reassurance that Botox® and dermal fillers will be delivered in a completely painless manner. Dentists have specific training in the oral and maxillofacial areas (head and neck) as much, or more than, any other healthcare professional that is allowed to deliver Botox® and dermal fillers. Our knowledge of these areas, in addition to having the ability to take care of complications in facial areas, makes us the provider of choice for Botox® and dermal filler procedures. We have a unique understanding of the role that muscle dynamics play in facial expressions and can make accurate predictions of how each treatment will affect the patient. Our knowledge of dental health and beauty further enhances our skills, allowing us to ensure that facial and oral esthetics go together. Along with our ability to respond quickly and effectively to facial complications, this makes us the most qualified professionals to provide these treatments. Dr. Lisa Elias Combines Art and Science to Create Your Best Smile Ever! Dr. Lisa Elias has all of these skills, along with one further qualification: her artistic background. As a sculptor, she understands that beauty is more than a mere technical process. She can balance the science and art involved in facial rejuvenation, eliminating wrinkles and lines in a holistic manner. Botox® is a therapeutic and cosmetic agent used to relax muscles and reduce or eliminate wrinkles in the face. It is also used to relax and lessen the effects of jaw muscle contraction, clenching and grinding and can sometimes lessen or eliminate pain in certain forms of headaches and migraines. The procedure takes only minutes and begins taking effect in one to three (1-3) days, taking full effect in at three (3) weeks and lasts for months. Dermal fillers, which provide an appearance of fullness at the injection site and smooth out fine lines and wrinkles, are mostly used for marionette lines, corners of the mouth, lip augmentation and deeper folds. They are also used to plump sagging or depressed cheeks, smooth irregular contours or humps in the nose, fill recesses or deficient chins and smooth the jaw line to remove the appearance of jowls. The results are visible immediately, and dermal filler therapy can last ten to 12 months. Dr. Lisa Elias has had extensive, advanced training in the use of Botox® and dermal fillers and has many happy patients. For more information on Facial Esthetics offered by Dr. Lisa Elias in Brunswick, OH call (330) 273-7300.